This was very cool. I got on 40 SSB this afternoon with my trusty Digi-Tia. I heard a station saying he was running 5 watts... Hmm, could that be a BITX40? Indeed it was. 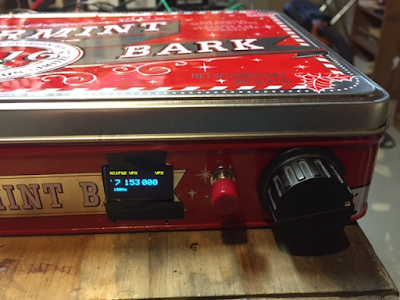 And it was the Peppermint Bark BITX 40 of Bruce KC1FSZ that we featured a few weeks ago. He was up in Boston. K3MY was kind enough to let us have the frequency. Bruce and I had a nice contact. He told me he is working on a completely scratch-built BITX. FB. TRGHS.